Helen Newberry Joy Hospital & Healthcare Center provides both Chemo and Infusion Therapy to patients in need of treatment. Our experienced Registered Nurses, certified by the Oncology Nursing Society, are specially trained to provide a wide variety of intravenous infusion therapies on an outpatient basis. 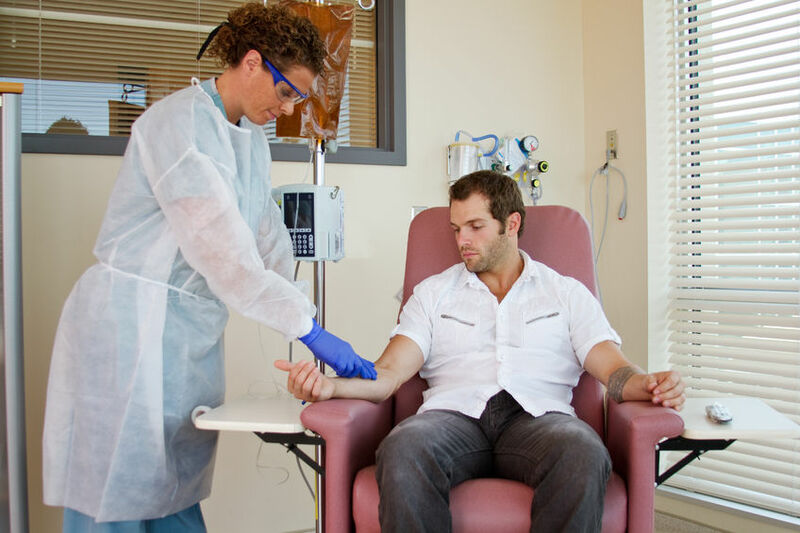 Infusion therapy involves the administration of medication through a needle or catheter. It is usually prescribed when a patient's condition is so severe that it cannot be treated effectively by oral medications. Typically, "infusion therapy" means that a drug is administered intravenously, but the term also may refer to situations where drugs are provided through other non-oral routes, such as intramuscular injections. Prescription drug therapies commonly administered via infusion include antibiotic, antifungal, antiviral, chemotherapy, hydration, pain management, and parenteral nutrition. Diseases commonly requiring infusion therapy include infections that are unresponsive to oral antibiotics, cancer and cancer-related pain, dehydration, gastrointestinal diseases or disorders which prevent normal functioning of the gastrointestinal system, and more. Other conditions treated with specialty infusion therapies may include cancers, congestive heart failure, osteoporosis, Crohn's Disease, immune deficiencies, multiple sclerosis, rheumatoid arthritis, and others. If you have questions about a specific treatment, would like to arrange treatment, or need additional information, please contact our Chemo/Infusion Therapy Department by calling 906.293.9283.